It seems to be conventional wisdom these days that horses are 'into pressure' unless you 'teach' them otherwise. This concept is difficult to understand from our point of view. If one horse pushes into another horse - usually because he is in a dominant position in the hierarchy - the other horse will concede space. No human has to teach him that, it is a physical inevitability if it goes beyond acceptance of 'herd rules'. So maybe 'into pressure' means that horses are born with this response, and they learn to react to pressure in a different way as they grow up with other horses. In that case, horses who are deprived of horse society growing up would be more 'into pressure' than others. That seems a little far-fetched. What seems more sensible is that there is a 'pressure scale', and that all animals respond to the pressure scale differently, depending on their individual sensitivity and their past experiences - in other words their nature and their nurture. Pressure reaching a certain point will always causes a concession i.e if you squeeze something hard enough it will break. This is a mechanistic viewpoint, although it is relevant to living beings, and it is why many trainers achieve 'results' through force. It depends what result you are seeking however, and a broken horse, whether it is mind or body, is not ideal. This isn't just playing with words, it is what happens. People push hard enough, with their own strength or using artificial aids, and the horse will give. It can be described as 'giving' or it can be described as 'breaking'. 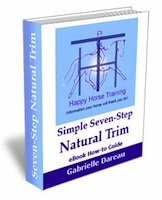 In our experience, it is breaking, because simply applying enough pressure is not a solution if you want a partnership with a horse. We all know people who shout loud enough and get what they think they want, but what do they really get? A lonelier life usually. So what is the 'whole' picture with pressure? It is about having an exchange. An exchange has two sides which express an opinion. So how is it possible to convince a horse to work with you if you don't override their opinion? The secret is how you use pressure. Basically you can use pressure to create comfort or to cause discomfort. 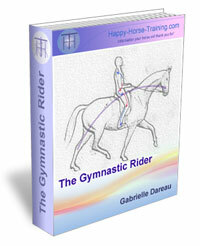 If you use it to create comfort, the horse's central nervous system will respond and their body will change. It becomes more receptive to pressure. This is not a 'learned' change or a conditioned change, it is a physiological fact. It is true that the more often you do that, the deeper and more complex the connections become, so that sensitivity becomes more and more accessible. It is not just nerve sensitivity either, it has a muscular foundation, a physical development behind it. If you use pressure to cause discomfort, basically by 'pushing through' any resistance, instead of supporting and appreciating the resistance, then you will only succeed in creating tension. Tension is a defense mechanism, so tense horses are not only less receptive, they are more unreceptive. 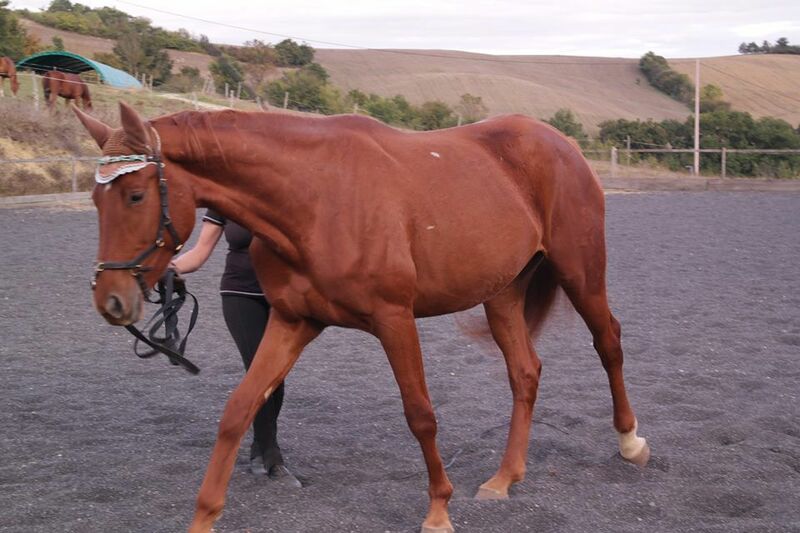 Unfortunately this is not obvious (to everyone), because if you are not aware of what 'connection' with a horse feels like, a bit like intimacy in a human relationship, then you won't realise that you have created unresponsiveness. Why? because horses WILL 'move their feet' more, they will react, they will lift their legs higher and jump faster when they have no other option but pain. The point is that they are doing all this to get further away from you! and that is exactly what happens, you have caused a separation, instead of creating a connection. 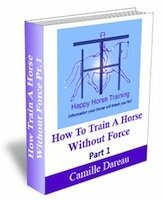 Getting back to 'into pressure', in general horses who meet pressure with pressure are in self defense. It is your job as their trusted guide to bring them out of self defense, and open up their receptivity. To open up their body in the same way as a good teacher opens up children's minds. This has nothing to do with teaching conditioned responses, it is about being present with who they are and how they feel in each moment.